Sign Up For Only $1 Today! In this $20/month membership, you'll get access to premier internet marketing training and software tools to help you build your online business profitably! It could be additional training about getting traffic or even... a software to get traffic! As long as you're an active customer of the CB Passive Income, you'll also get access to Insider Training & Tools Membership - for 100% free. Your first product will arrive within 30 days after you've grabbed a copy of it. You'll be able to register for this training immediately after you've secured your copy. You see, I've been secretly running an "inner circle club", where each month, I’ll share with a real model to make money online with my members. They pay between $47 month. This membership is called the Fast Cash Series Monthly. The best part is, it’s fully comprehensive. It’s a complete A to Z system. In terms of the material you’ll receive, it can be the combination of manuals, reports, videos, tools, templates, checklists, etc. It’ll wholly depend on what the opportunity is that I’m going to be revealing – different opportunity will require different types of materials to be given; namely so that you can follow the steps easily. And sometimes, there are systems that you can scale to make A LOT of money. Also, there’s the model of creating multiple streams of income with Fast Cash Series. Because with DIFFERENT and NEW methods being given each and every month, they could be creating many streams of income directly from the internet — not to mention, a passive income too! The truth is, by knowing my secrets and working with them, you could be making money from the internet. As a bonus for the launch of CB Passive Income version 5.0, I've decided to let you get access to the past 15 months of the best Fast Cash Series' money-making blueprints worth $1,455 today FOR FREE. This is brand new online class that I'll be teaching for the end of 2018. The Traffic to Income Masterclass will teach you how to get targeted website traffic that's "evergreen" so that you're not dependable on "seasons" or trends, including both PAID and FREE traffic. It's a 90 days program because I'll be coaching you through comprehensively. However, it doesn't means that you'll need to wait for 90 days before you can start using what you'll be learning! Each month, we'll be covering specific traffic methods and you'll be able to start using it, before the next method is being taught. The best part is, the traffic methods and strategies taught are actually suitable for promoting other products as well, not just for CB Passive Income. Because as I've mentioned in the beginning, the Traffic To Income Masterclass is a standalone program that's worth $997, but you're just getting it for free because I'm adding it as a bonus for CB Passive Income's version 5.0 launch. This bonus can be removed at ANYTIME without any prior warning! Please note that the training will begin 30 days after you've joined. You'll start with the "getting started" traffic training that is designed for CB Passive Income. "Get your instant access to the CB Passive Income License Program 5.0 and the massive launch bonuses worth $2,182 for just $67 $47 today!" Click the order button below and I’ll walk you through the system today. Frankly, I don't think you'll ever find anything close to this, with a 100% money back guarantee and stellar reputation backing this system, for as little as $67 $47 $1 to get started. No set up fee. Get FULL Access to CB Passive Income License Program 5.0 for only $1 for 14 days. Then $47/month after 14 days. If you decided to get the annual lifetime plan (as a launch promo), you will also get the Inbox Pro feature. This will enable to you to automatically add all of your leads into your own autoresponder too. This bonus is worth $97 but yours free if you choose this plan today. Hi, my name is Patric Chan, the best-selling author of WakeUp Millionaire and multiple other books. During this video, I’m going to share with you how you can generate income from the internet. You see, for the past many years, I’ve been using a proven way of making money online in the “internet marketing niche” and I’m really pleased to announce that it has been generating auto-pilot income for me - EVERY DAY without fail. And in 2013, I've decided to share the entire system to the world - allowing ANYONE to duplicate EXACTLY how they make money online FOR THEMSELVES too. Over the years, I’ve developed many powerful marketing software to make money from the internet and created training courses. But instead of selling them to customers, the software and training courses are given away for free via a “secret web page” that I’ve created (not available from any of my official websites). When they requested for my product for free and became my new subscribers, I’ll continue to send them valuable training and updates. And sometimes, I’ll send them product recommendations to buy too. The products promoted are from Clickbank.com, the largest "marketplace" for digital products. Also, ClickBank only approves legitimate products into their affiliate program marketplace. This way, I know I’m promoting GOOD PRODUCTS and adding value to my subscribers. Secondly, the typical commission percentage for a ClickBank product is around 50%! Thus, it's much more profitable to promote a DIGITAL PRODUCT (like an eBook, video course, software, etc) than a physical product. So in short, as long as I continue to send out emails to them, I'll continue to make money online. So that's how the CB Passive Income was born back in 2013. "Why It Works So Well For My Customers, Especially For Newbies?" It’s not easy to create a top notch web page that can convert subscribers very well. Also, putting the effort to continue testing it for improvement... is tough. Firstly, I don’t hide behind a computer screen. This is me. I’ve also spoken to audiences in 12 countries as an internet marketing authority since 2005 and have authored several best-selling books. One of my physical books is Clicking Cash, which is co-authored by Robert G. Allen, the New York Times best-selling author of Multiple Streams of Income, Nothing Down, One Minute Millionaire, Cracking The Millionaire Code, Cash In A Flash and many more big hits. This is the BEST book I've read about creating wealth and making money from the internet, period. The internet is one of the fastest ways to create multiple streams of income and Clicking Cash can show you how. Read this book as soon as possible. Truth is, I didn't become a Guru overnight. 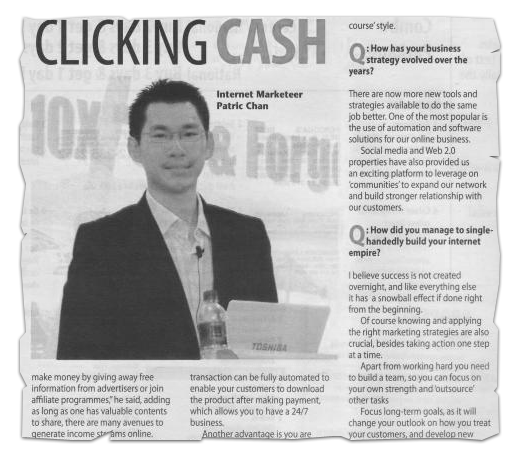 I’ve been in your shoes before, struggling to make money online when I first started… way back to 2003 to be precise. It took me almost a year to crack the code! During the following year, I was featured on Google News, about me making $21,560.26 from home - that's 15 years ago from today. But, that’s enough about me – because this video is not about me at all, it’s really about you. You could license my entire internet business system without paying any loyalty or license fee? And I’ll even train YOU for free - like how I've helped my previous customers? On top of that, I’ll WORK FOR YOU, for FREE too? A truly revolutionary internet business-in-a-box program that can generate a sustainable passive income for you! Monthly Q&A Training Calls With Me - LIVE In Person! This program doesn't just come with the PROVEN SYSTEM and COMPREHENSIVE TRAINING, it also comes with my personal time to help you succeed! Each month, I'll get on a call to help you answer your marketing questions of using the CB Passive Income system. This will be a LIVE training, but if you can't attend, you'll still be getting the recorded version each month. With this powerful component, I can guide you "systematically" to making money online. For instance, for the first 30 - 60 days or so, your questions may be more towards matters related to "how to use" the system. And as you get more familiar and your expertise increases, you'll start to ask further questions related to email marketing, traffic strategies or "hacks". Therefore, the Q&A Training Call will be ideal to work with you for short term - and long term growth. Basically, the software generates a unique link (only available for you to use) where it’ll send them to a “secret web page” to get my highly valuable software or course for free. And here’s the most exciting part – after they’ve subscribed, EACH TIME an email is sent to them from the CB Passive Income System, it’ll have your affiliate link to the product that’s being promoted. 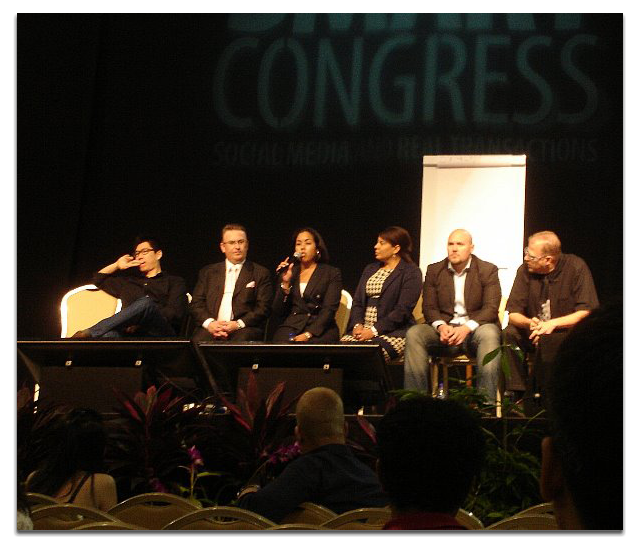 You will be the one who earns the affiliate commission completely. I’ll continue to monetize YOUR subscribers for you. And the good news is, you’ve already read my credibility – I’ve been in this business for a decade now and have thousands of customers all around the world. You simple give away my software or courses. You'll then get subscribers and our systems automatically take over and it's all hands free income and support for you after that. GIVE AWAY MY PREPARED PRODUCTS FOR FREE! The task is simple, just give away my software and training courses through your unique link; you’re not even required to sell anything to anyone. In the system, you'll even see how I'm making money online by giving away by best-selling book - and you can do the same too! Basically, you're CLONING how I am making money online. While I work, you're making the money. On top of that, when you get the license today, I’ll also train you HOW to promote your turnkey business effectively! Inside the program, I have prepared the training to teach you how to get traffic from all kinds of methods, including social media and paid ads. You’ll be promoting on the internet, NOT emailing to your friends. Once you’ve fully setup, you’ll be able to use my software to get yourself started and access all of my training material. AND… you’ll not be required to pay for any license fee, EVER. This is, by far, a very rare opportunity presented to you – to clone my entire marketing system to generate affiliate commissions for LIFETIME. This is NOT Multi-Level Marketing at all. You will not be asked to email your friends, family and colleagues to promote new stuff to them. You will NOT be asked to recruit “other down lines” too or have any kind of complicated down line system. This is a business where you’ll earn commission on every single product bought by your customers, it is as simple as that. The difference is, I’ll do all of the work for you. This is NOT an Internet Marketing “magic button”. This isn’t some software you install and merely click 3 buttons to make money. This is a fully-functioning, real internet business that can generate a sustainable passive income for you. The reason why it becomes easier for you is because we’re doing all of the work FOR YOU, mainly so that you can just focus on the one task, which is driving the traffic. You’re leveraging on my marketing system. This is NOT Affiliate Marketing in action. With affiliate marketing, you are paid once and once only for the product that you promote and have sold. After the first sale, the customer belongs directly to the business owner. Your license with us is drastically different, and is MUCH MORE profitable. The subscribers you bring in belong to you. You will make money off anything and everything that they purchase from when we email to them – as long as they stay subscribed for LIFETIME. As mentioned, this is not a push button magic. Although 90% of the heavy lifting has already been done for you, you'll still need to promote your own ready-to-go webpage (good news is, we'll teach you too). If you expect to do absolutely nothing, this is NOT for you. It won't work. DO NOT sign up for my program because I can't help you if you don't take action. That Other Marketers Were Using Our Brand To STEAL Traffic! Go ahead and search for "CB Passive Income" in Google. It makes me chuckle when I see this low-level tactic used by cheap and desperate marketers, badmouthing others just to make some money. Like the above who said he sent 14,000 clicks over. You got to be kidding me. If a dude like him can drive so many visitors, he won't be wasting time hammering other people's product on his website - he would have spend him time to make a fortune for himself. Because at that level, he would be called a Super Affiliate. Mind you, "NORMAL PEOPLE" can't generate 14,000 clicks. They'll create negative reviews, acting like good samaritans - wanting to help people. And then, they'll promote their own offers to you instead. "Clever", right? Maybe, but that's sooooo "low". But how could this help them to get free traffic? Have you search for something that you like, but it comes out something else? That's a clickbait. They do that all the time in YouTube. If we weren't so successful, do you think any marketer would want to spend their time to create a "clickbait" off our brands? It's really interesting when they make their fake reviews so real. Because the truth is, we have the stats of thousands of clients have made money from our system. The fact is, Andy took action and use the system to build about 100 plus leads. 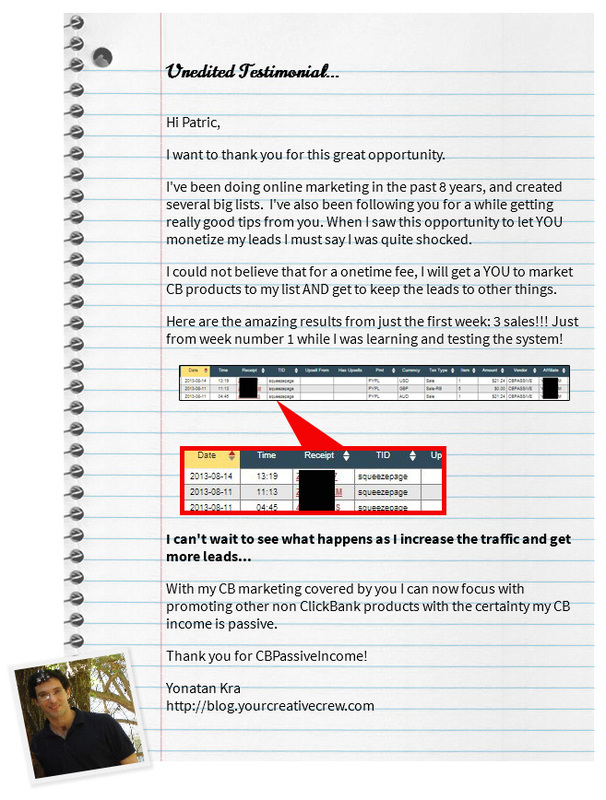 Then he made $229.36 without doing anything because the CB Passive Income takes over to monetize the leads on auto-pilot. The CB Passive Income License Program was launched back in August 2013 and has helped hundreds of marketers and newbies to make money online. In 2014, we’ve upgraded the product to version 2.0 so that you’ll be able to get more leads from your promotion and also to generate passive income. After that, we’ve released version 3.0. With version 3.0, you’ll now have MULTIPLE “secret pages” to promote. Why is this important to increase your profit? Because it’ll create multiple streams of income for you. For instance, instead of promoting the software offer, you can also promote our social media offer. This will be focused for those who wants to learn on how to make money online from Facebook. In version 4.0, we go "mobile". There are over 2.6 billion smartphone users worldwide and according to StatCounter, 37% of website visits in 2015 were generated by mobile web browsers. On top of that, mobile ad spend is higher than for desktop ads. So we created the Facebook Click-To-Optin Feature. Not only your done-for-you webpages are mobile-friendly to convert for you, your mobile traffic visitors will be able to subcribe without even typing their email addresses! They'll automatically optin through their Facebook email address when they click the "optin button". What does this also means? It means, you're going to be able to buy traffic at a much lower cost because mobile traffic is cheap. But they are as targeted as desktop traffic when you have a "mobile-adapted" offer to promote. This also means you'll be getting more subscribers and making more sales because 30% of your traffic will not get "wasted" anymore. The hottest marketing strategy for the recent years, including 2018 is FUNNELING. 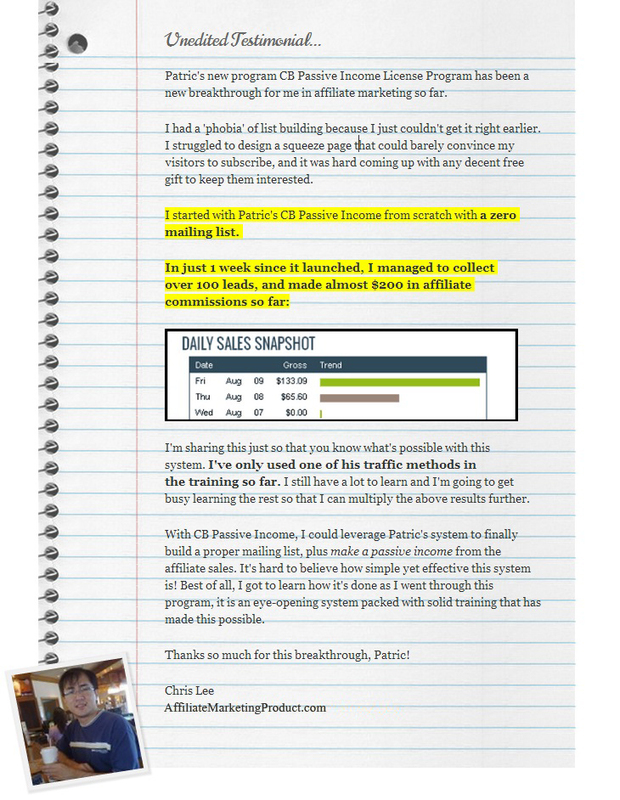 In version 5.0, you'll now able to CLONE my proven funnels. It doesn't even ends here yet because the CORE ENGINE of this system is in the email follow ups and fresh email broadcasts. Every single email promo sent will carry your ClickBank ID to generate 100% of the affiliate commission. You're not splitting with me, they are all YOURS. Let me say this again - I'm not referring to those typical outdated set of autoresponder follow up emails. We actually send out fresh new content and newsletter EACH WEEK and all of them are optimized to monetize for you, while you're NOT DOING ANYTHING AT ALL. You are simply investing in a business system where your only job is to giveaway valuable internet marketing products... and you will collect a lifetime of commission on whatever they buy! You’ll get a clone of my “secret web page” that is ready-to-go, whereby you DO NOT need to do anything else with it, other than to promote the unique link that’s created for you. We’ll handle all of the technicalities of the web page including the hosting fees. On top of that, we’ll constantly be updating your website on your behalf to give you the highest performance and conversion. There's an entire back-end software system to track your commissions and leads generated. So you’ll also be able to see the number of visitors to your website and how many subscribers you have in the system. In the latest version of 5.0, you’ll now get to clone my FUNNEL as well. The fact is, our free gift products are highly valuable to attract leads. It would probably cost you around $1,500 if you were to hire a writer to write this kind of content. The good news is, we’ll periodically update and even change the free gift as and when is needed. Just so you know, you don’t need to do anything more – we take care of everything behind the scenes for you. The Free Gift Products are already “integrated” with your clone webpage. YOU DO NOT NEED TO DO ANYTHING HERE, IT'S ALL AUTOMATED. Remember, I’ll produce the content, research the good products, craft marketing campaigns, promote the offers for you through the system. At the same time, I’ll also look for new membership products to promote so that you’ll earn monthly commissions from the products sold. With version 5.0, the software will automatically “insert” your affiliate ID inside the products recommended in the FUNNEL dashboard, thus, allowing you to create more passive income. When you get people to subscribe to your “secret web page” for free, which should be very easy to do indeed… you’ll earn a LIFETIME of commission for each product they buy from our promotion! We will do the selling for you, the subscribers don’t even know that you make the commission. This is not the latest shining object that hits the market. Not at all. We created the system since 2013 and it’s still working. The reason is, we’ve continue improving the system. You’re truly building a real solid business here with us, WITHOUT the high cost of development and so on. Like I said earlier, the reason why you can do this successfully is because you’re CLONING my proven system and getting ME to work for you, for free too! This is all automatically integrated within the software system. If it wasn’t for this system, you would need to hire designers, content writers, a copywriter and even an email marketer! There are heavy costs involved, it’s just that all of them are “waived” for you when you get CB Passive Income License Program 5.0 today. This has been proven to work with hundreds of success stories. This is why we’ve now upgraded the system to 5.0 for you to take advantage of it. The only action you need is to drive your own traffic. We do not do this for you. But the good news is, you’ll get access to my video training and manuals on how to promote your new-found internet business so that you can achieve mammoth success with this business! The training is structured to be step-by-step so that you can follow it easily and these methods have been proven time and time again to be effective. With this knowledge, you’ll never run out of prospects to reach for your internet business. With version 5.0, we have added more video training to teach you about online promotions and how to get free traffic! "Here's HOW CB Passive Income is TOTALLY Different Than Any Other System That Promises To Make Auto-Pilot Income For You..."
I know there are a lot of "software systems" out there that promise to help you make money. Trust me, in my 15 years of being in this industry, I've probably seen it all. But before I share my humble opinion of why the CB Passive Income is different and it can live up to it's promise, do you realize that others don't even dare to put up their own names to "endorse" their own products? And even if they do, they probably have no real reputation. First, let me be outright blunt with you - there is no such thing as a "push button" magic software. Most of these systems are selling the concept of clicking a few buttons and everything will be auto-pilot. Truth is, there is A LOT OF WORK involved to make money on auto-pilot. And the reason why CB Passive Income can work is because ALL OF THESE HARD WORK are still happening, the difference is, you're not doing it. They're "taken care" by me and my team behind the scene. So when we work hard every day, you're the one who's making the money. Thus, it becomes auto-pilot to you. Frankly, I've personally paid a similar system like this for $1,997. Is there any other fee involved? No, just the investment for CB Passive Income. You don’t need an auto-responder, hosting or a domain name to take advantage of this awesome business, although those are optional add-ons. Can I collect the subscriber’s emails too? YES, OF COURSE! These your YOUR LEADS. 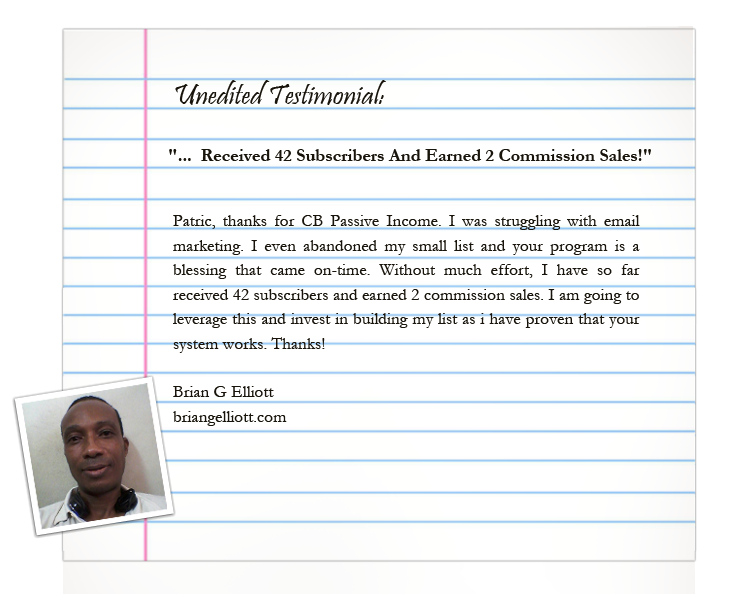 Whenever you get a subscriber, their emails will be recorded right inside your CB Passive Income back-end system. You’ll be able to retrieve all of the emails there! You can do anything you like with your own database, you can just Export them out. Can I make money instantly? Because the affiliate commission ranges from between 50% to 70% (it could be higher or lower), it's really hard to grasp a ballpark number. This program is ideal to create a consistent automated income, it's not meant to create you any "instant" cash. Simply because, we don't promote products to them aggressively when they've just joined the list – offers will gradually be introduced to them at later stage when they’re "ready". 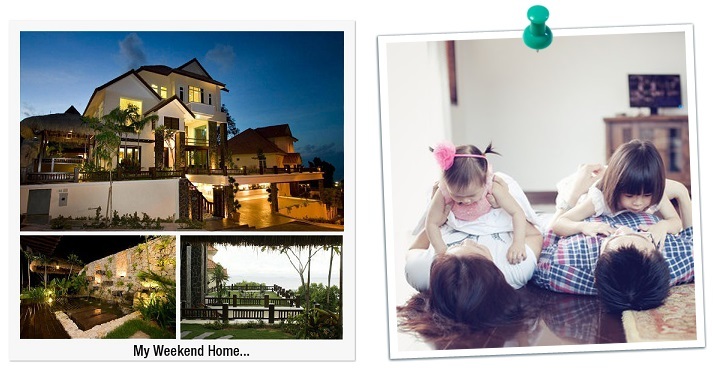 If you’re looking for a real business, CB Passive Income License Program can help you to achieve your goal, but if you’re looking for a quick-rich scheme, I’m sorry to disappoint you that I don’t have one here. Of course, we’re a real company with a physical office and a team of support staff. We're doing everything for you to have your turnkey business but we do not drive traffic for you. Your job is to simply promote/drive traffic your “secret web page” (which will be created by our software once you’ve entered your details). That’s it. The whole deal is this – the intention of this program is to create as much automation as is humanly possible for you, so that you can enjoy your life. Is there a walk through for the entire system? Yes, and it’s completely step-by-step. All of the steps are found inside the Dashboard Area. So assuming you’re still confuse, don’t worry – we have the steps and further explanations inside. Can you recap again how do I make money? Sure. Our software creates the “Secret Web Page” for you. We’ll provide you with the training on how to promote it (in case you’re a newbie). Your webpage builds your list and our marketing system monetize it for you. Basically, it’s a complete turnkey of my marketing system – the difference is, my marketing system is now WORKING FOR YOU to generate affiliate commissions for you, not for me anymore. Right now, I charge up to $2,000 per hour for consultation. All in all, you should at least be prepared to spend about $25,000 to have a system like this in place. Obviously, if you could get a system like this for just $1,497, you would have gotten yourself an awesome deal. Fact is, I’ve seen a program like this being offered for $1,997 before. Your investment during the launch is just a measly affordable $67 $47 per month for a complete turnkey system with ongoing upgrades and training. The fact is, you would have recoup your investment within the first 30 days itself - or even days from now! Just just as little as having 2 sales a month would have paid off. There's no hosting fee, email server cost and everything else that stacks up to $1,000's of cost per month. And you have a long period of 30 DAYS to achieve that. It's a no-brainer to me. And as your leads continue to grow, this also means your income is growing by each month! Making it extremely affordable and willing to share my system? I mean, I've seen a system like this regularly being offered between $997 - $,1997. And honestly, they don't even come close to what we offer inside CB Passive Income. It may sound corny to you, but I sincerely want to help you. I know the pain and frustration of failing time and time again – why wouldn’t I… when I first started in 2003, it took me exactly 8 months to make my first measly sale. Throughout those “long” 8 months, not only was I energetically drained, my financial situation was drained too and I couldn’t even express the emotions I had to go through during that dark time. And seriously, I don’t really “lose” anything of my own by helping you and giving back to the internet marketing community on the whole. But at the same time, I do have a self-serving reason too – I hope that after I’ve trained you, you’ll also be able to create a similar system like this in the future so that I can use it as well! Imagine if I have just 10 additional marketers who can create a new passive income system for me to use too – I’ve just added another 10 new income streams, without doing any work at all. Now, imagine when it gets exponential in size and I have 100 successful students, can you now start to see how I’m building “partners” for my own future benefit? I personally guarantee that if you make an honest effort to learn, follow the instructions and effectively use the CB Passive Income License Program, you can be making money from the internet very shortly. Maybe in just a few days from now, you would have recouped your investment. But if you are not 100% satisfied with it for whatever reason, let me know within the next 30 days and I’ll issue you an immediate, hassle-free 100% refund. Go through the training and you could even get started within 24 hours from now. 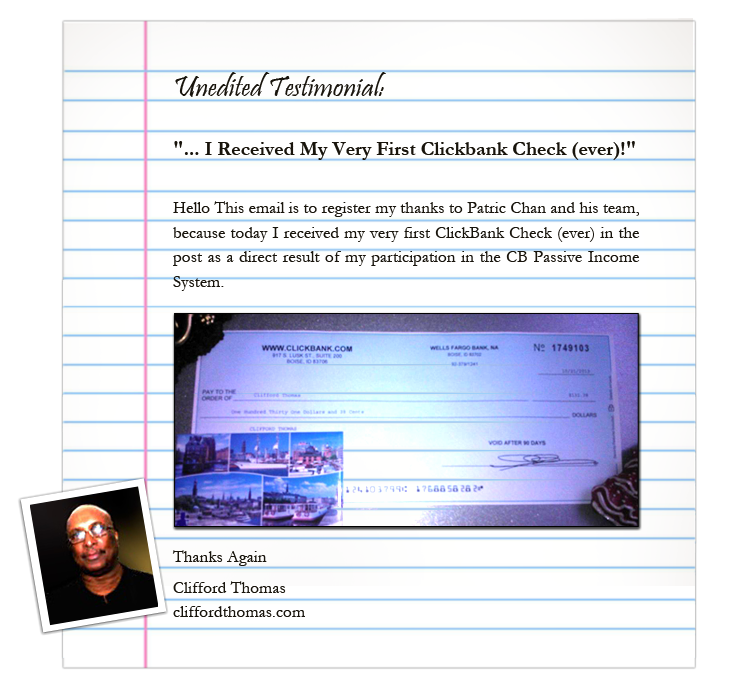 Seriously, put the CB Passive Income system to work for you… it’s the ultimate way to start making ClickBank affiliate commissions and money online. If you are really ready to start a real internet business and start making serious money while you sleep, the best decision you can make is to get your license purchased right now. The truth is, because of the internet wealth that I get to enjoy, I am able do a lot of neat things. I get to spend time enjoying my hobbies... 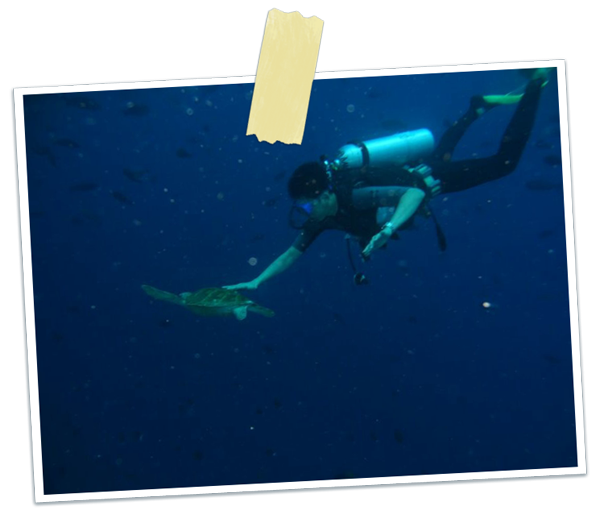 This is me, “swimming” with a turtle in one of the most beautiful diving spots in the world. This is all possible, because I started my own online business. If you don’t start one, please understand that nothing’s going to happen like this for you. This is brand new online class that I'll be teaching for end of 2018. Frankly, I don't think you'll ever find anything close to this, with a 100% money back guarantee and stellar reputation backing this system, for as little as $67 $1 to get started. Billed yearly one time off, no set up fee. P.S: May I know if you’re still unsure how does the system works? If you don’t, frankly, this is the exact reason you need to sign up right now. Once you’ve access the Dashboard Area, you’ll understand exactly how it works and will be surprised how EASY it is to get started. Remember – you’re protected with my 100% money back guarantee. Click here to secure your spot now.